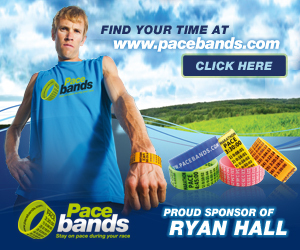 One of my must haves when I run races is my pace band. I learned early on that I wouldn’t always have a friend to run with and pacers are only hit and miss at the slower paces. It’s not to say that someone who runs slower than 2:30 halfs and 5:00 fulls aren’t plentiful – indeed, there are an awful lot of us back here, race directors! – but we just don’t seem to be a priority sometimes. That’s ok, we just roll with it. That is where PaceBands come into play. About a year and a half ago, I found this small company while printing a band in paper online. I always told my husband that there had to be a better system than printing off a paper, cutting it out, laminating it with shipping tape and trying to tape it to my wrist. Not to mention they get nasty before the race is over when you run in the August heat of Dallas. It took me no time to order one and give it a try. Verdict? I loved it! I instantly felt a comfort that I could look down at my watch and compare that to my PaceBand and instantly know if it was realistic for me to finish in the time I hoped. The silicone band is just like those bands that people have worn forever, only a bit wider. The numbers are raised and their color is a contrast from the band itself. There is a variety of paces from super speedy to “I have endurance” and come in five different colors. I’ve found that the yellow and green pace bands are easiest to read with my old lady eyes, but that is just my personal preference. The coolest part of these pace bands is that, as a pacer, I keep a variety of times available so that I can always grab one at a moments notice. At less than $10 each and free shipping, they are a bargain! For the record: I own a ton of pacebands and paid for them all by my little lonesome. I love them and wanted to share them with you. 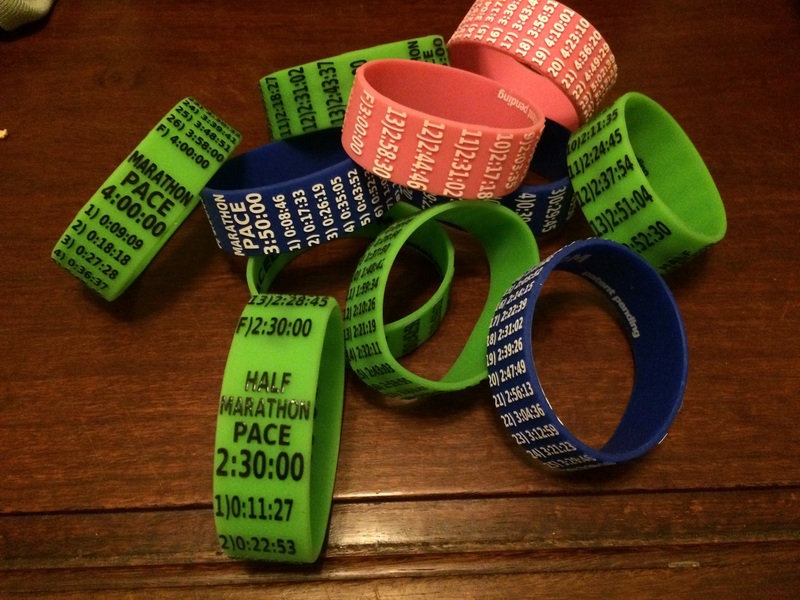 All of the opinions in this review are mine and I have not received any compensation for this blog… However, the company has offered to let me give away one of these awesome pace bands to a lucky reader of my blog! Woo hoo! The “rules” are pretty simple, just visit and like (and maybe tag a friend!) the PaceBands page on Facebook (www.facebook.com/pacebands) and follow my blog. If you already follow my blog, you’re halfway there! I’m using Rafflecopter, so on Wednesday, November 19th, 2014 a winner will be selected. But seriously, I would love to help tell everyone about PaceBands. I wear them to all my halfs and fulls and everyone always thinks they are the bomb. If you would like to buy one (or two or three! ), here is a link to get you started:PaceBands.com. Not only is shipping free, they come super speedy! So very excited! Jolene A. is the winner. Congratulations!! !